While we wait for LEGO to ditch plastic and start making their bricks with sustainable materials, we’re opting for a much greener version of the world’s most beloved toy. Eco-Bricks are made from cherry wood, and in addition to building anything a kid’s imagination can muster, they offer a unique opportunity for personalization via their blank wooden canvas. Available from Once Kids in sets of 90, 145 or 250 pieces, Eco-Bricks are universal construction bricks that kids can decorate with paint, markers or other media, making their buildings, trucks and original designs totally unique. The 250 piece set comes with a laser engraved logo wooden storage box, and the smaller sets come with storage pails. All sets come complete with a variety of different pieces ranging from axels with wheels to wooden bases, so kids have inspiration to build far beyond a tower. 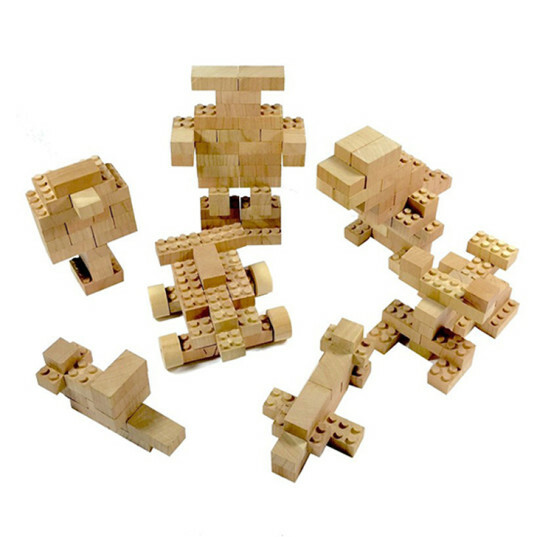 Perfect for ages 3+, Eco-Bricks advises not to get their wooden blocks wet during play. While we wait for LEGO to ditch plastic and start making their bricks with sustainable materials, we're opting for a much greener version of the world's most beloved toy. 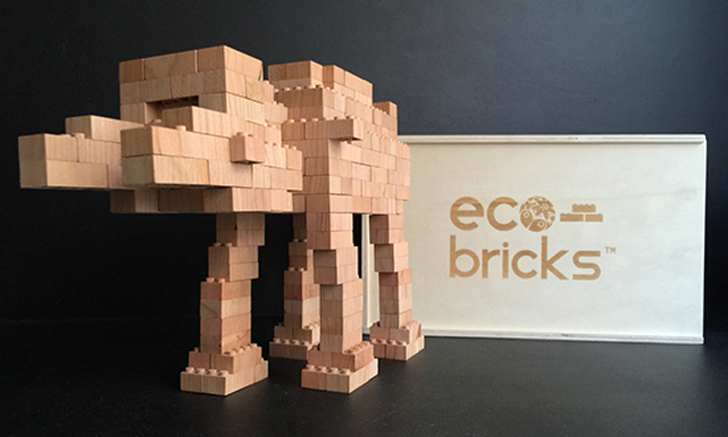 Eco-Bricks are made from cherry wood, and in addition to building anything a kid's imagination can muster, they offer a unique opportunity for personalization via their blank wooden canvas.